it causes you to think about what is important - your purpose, values, direction, performance, personal satisfaction. Frequently we are too busy to take time out to simply think about what we are doing, where we are going and how we'd like to get there. One of the core aims of the TV Academy programme is to provide you with the space and time to reflect on your performance and career, think about your future and plan your next steps. It enables you to examine and to make choices - it gives you control and autonomy about where and how you spend your time and effort. 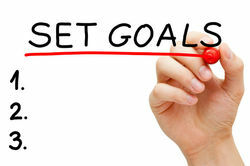 Defining your goals - in a clear and structured way - enables you to develop a plan to achieve them. If you are unclear about where you are going or about what good looks like, then anywhere or anything, will do. Usually that won't be sufficient. ​The TV Academy programme is an opportunity to think about your performance, your strengths and weaknesses, your business targets (as defined by your team leader) and your personal and career aspirations. It provides various forms of feedback and psychometric assessment information to support you in understanding where you are now. Your PDP is a key tool to support you in recording your aspirations and the goals you will work on in the programme​. It is important to note that it is not a bureaucratic bit of meaningless paperwork! It is designed to support your efforts throughout. The conversations you have with your coach will help you to develop clarity on where and how you gain personal fulfilment and satisfaction, what motivates you, what you need in order to work and live at your best, and exploring your potential. In other words how can you best use your strengths and attributes to deliver excellence for TV, and derive optimal fulfilment and satisfaction for you? Your short and long term career aspirations. Where do you wish to get to? You may already be very clear about this - that may be for a specific role (e.g. partner) in a specific time frame (e.g. five years) or a broader goal (e.g. "to be a recognised authority in my specialist area of..."). Alternatively you may be unclear about your aspirations or perhaps have not previously spent time thinking about them. The work you do with your coach and your sponsor will help you to explore your options and think about where your potential might lead you. Getting clarity over these aspirations will help you to formulate what you need to develop and work on in order to achieve them. Your business/performance targets. The programme seeks to align your career aspirations with the business needs of your team and TV generally. Being clear about your expected contribution in your team enables you to think about your performance in this area and any development needs you have which will enhance your performance. These targets may include fee income targets, BD activity, client relationship development, training delivery and so on. The development goals you will work on in the programme. Consideration of the feedback you have received, your own personal insights and the initial coaching will help you determine (a) where you are now and (b) where you wish to be. Your development goals arise from understanding what you need to do differently/better/more of in order to achieve (b). You will work with your coach and sponsor to develop these goals and this will include a reality check to ensure that if the goals are achieved they will materially lead to the achievement of the career goals and business/performance targets above. There may be as many development goals as you consider appropriate but it is not recommended that there are too many. Two to four goals is an optimal number. The actions you will take. 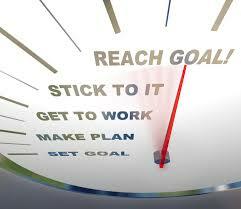 Setting clear, SMART goals (see below) will greatly assist you in working on and achieving your goals. This takes time in thinking about and defining them, but this process ensures you are not vague or subsequently unclear or lacking in motivation when it comes to carrying out your actions. This section identifies the actual things you will do to achieve each goal. It turns an abstract thought into concrete tasks. Your coach will work with you to help define these. The business benefits which will result from the achievement of your goals. These may be very direct or more implied, depending on your goals. In either case it is essential that you develop your mindset around commerciality and business value. Your achievements on this programme should also lead to benefit for TV - that may be in increased fee income, BD, better client relationships, enhanced creativity, and so on. In thinking about your goals and the actions you will take, it is important to think about how the business will benefit. Measures and timescales. These should arise from use of the SMART goal setting approach (see below). As you progress through the programme it will be important that you, your coach and your sponsor are able to assess your progress to ensure that all is on track and going well, or to provide additional input. So thinking about how you will know that appropriate progress is being made helps in that assessment, and ultimately will ensure you succeed in achieving your goals. Identify any additional support or resources required. This is an optional area but it may be that a specific goal requires that you complete a training course or a similar activity in addition to the work we will do on the programme. Any resources identified here will need to be discussed and agreed with your sponsor and/or HR. Your sponsor will be closely involved in your PDP development and will be asked to sign it off as appropriate and supported. We will refer to the PDP throughout the programme to ensure that we are working on the right things and making good progress. At the end of the programme, we will refer again to the PDP to review and record progress. State goals as declarations of intention, not items on a wish list. "I want to ..." lacks power. "I will..." is intentional and powerful. As you work through the programme you will be endeavouring to make progress on your TV Academy commitments at the same time as managing your workload effectively and well. This is likely to require some thought and planning - how will you make this work? Discussing this with your line manager and sponsor can be helpful. In addition you coach can also help you with advice on planning and time management if you need it. Setting goals that are genuinely motivating will help you to keep going - picturing in your mind the achievement of your goals should inspire you and provide you with sufficient energy to persevere. If it doesn't, you might want to look at them again and redraft them so that they are suitably energising.